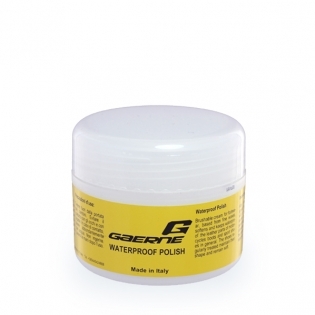 Gaerne waterproof boot cream softens, nourishes and preserves leather. This helps to keep the shape of the boot and stops the stiching from drying out. Suitable for all colours of smooth leather. After you have washed your boots, just dry them thoroughly and apply a generous amount of Gaerne boot cream to all surfaces paying special attention to all stitches and joints. Softens and preserves smooth leather motorcycles boots footwear. Helps boots keep their shape and remain soft. Now available in a 90ml pot so easier to use than the previous toothpaste tube style!